Does ARP 435-1801 fit your vehicle? 435-1801 is rated 5.0 out of 5 by 1. Rated 5 out of 5 by Injected 68 SS from Bolts I bought these fasteners because I have the same type on my headers. they were on the car for about 5 years. I recently pulled the "little" 396 for a fresh EZ EFI-injected 502. Those header bolts looked like new and had absolutely no corrosion on them. 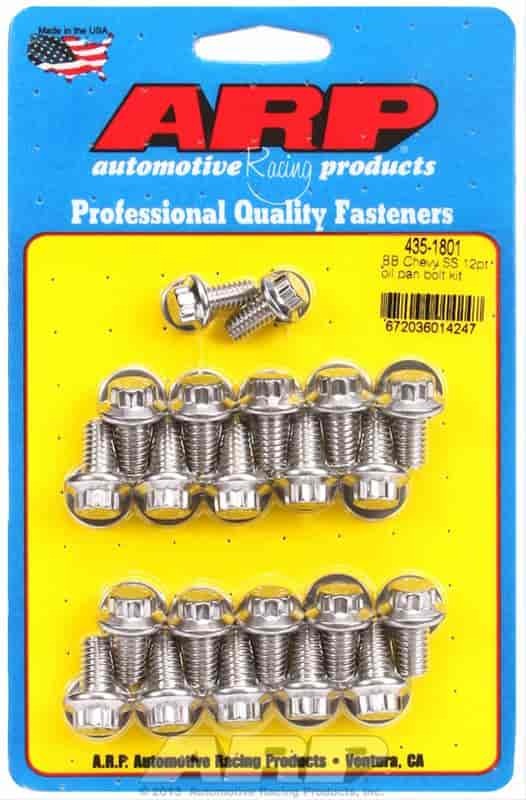 I will be upgrading all the fasteners on the 502 with ARP stainless because the quality is superior. As per the usual, Jegs service was superior as well.